If you are looking for the best Drupal web design firm you can find, you should look no further than Huemor Designs. They work not only with the websites themselves, but also with brands. They make sure that the brands of all of their clients are developed well, so that these clients will be able to effectively reach customers and establish themselves in the marketplace. 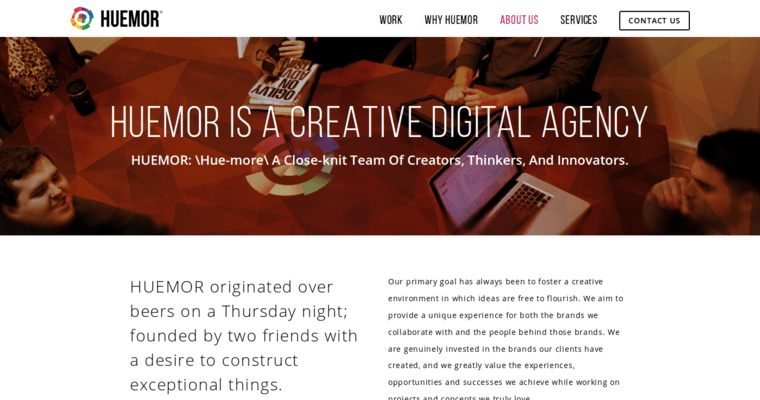 The team at Huemor Designs not only comes up with great insights, but they also execute everything necessary in order to come up with the best possible results. They take an approach to design that not only focuses on the visual aspects of design but also the strategic ones. They make sure to know all of the relevant details about their clients, so that they are able to provide the customized approach to each client that will best benefit each client for the best possible results.